MILAN/ROME (Bloomberg) – Italy's Prime Minister Silvio Berlusconi was meeting with Fiat S.p.A. CEO Sergio Marchionne on Friday to discuss Fiat's future plans. Marchionne needs to reassure Berlusconi that he isn't planning to move Italy's biggest manufacturer a month after winning government backing in a battle with unions over labor concessions. Marchionne, 58, caused a stir in Italy this week when he said Feb. 4 the Turin-based carmaker and Chrysler Group may “end up looking like one entity,” possibly based in the U.S. The CEO later backtracked, saying no decision has been made. Fiat owns 25 percent of Chrysler. “Integration with Chrysler may lead to new combinations, so it's crucial to stress the importance now of a prominent position for Italy,” Labor Minister Maurizio Sacconi, who will attend the meeting and spoke with Marchionne last week, said in an interview. Fiat plans to build as many as 280,000 cars and SUVs a year for the Jeep and Alfa Romeo brands at its Mirafiori plant in Italy starting in 2012 as part of a Chrysler venture. Under the deal with unions, workers will put in more hours, take shorter breaks and risk having pay withheld for persistent absenteeism. The Mirafiori deal is part of a 20 billion-euro ($27 billion) investment project to revamp Fiat's five Italian car plants, where it aims to produce 1.4 million vehicles a year by 2014 from 650,000 in 2009. In addition to the meeting with Berlusconi tomorrow, Marchionne will also speak about those goals at a parliamentary hearing in Rome on Feb. 15. After Italy's main newspapers all printed Marchionne's comments about a move to the U.S. on their front pages, Chairman John Elkann on Feb. 5 was forced to qualify the CEO's remarks, saying that Fiat would never abandon Turin, where it's been based for over a century. Italians' concerns that a combined Fiat-Chrysler may locate its headquarters in the U.S. are overblown, Marchionne said Feb. 9 in an interview at the Chicago Auto Show. No decision has been made on governance or a headquarters location, he said, adding that the issue won't be on his agenda before 2014. Fiat is trying to improve productivity and capacity utilization to restore profitability in Italy, still the carmaker's biggest market. None of the profit in 2010 came from Italy, Marchionne said. The automaker may lose 814 million euros in Europe in 2011, according to Kristina Church, a London-based analyst at Barclays Capital. Chrysler could earn as much as $500 million in net income this year, its first profit since bankruptcy in 2009, the company said Jan. 31. Marchionne has said he wants to take Chrysler public in the second half of 2011 and that he'll need two quarters of profitability before he can do it. Fiat's 22,000 auto workers in Italy assembled 650,000 cars in 2009, compared with 600,000 made by 6,100 employees at the company's factory in Tychy, Poland. That means, without taking into account differences in models and working hours, productivity in Italy averaged 30 cars per employee a year, compared with almost 100 at Tychy. 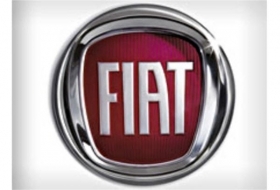 Fiat is closing one Italian car plant, at Termini Imerese, at the end of this year. “The era of state aid is over,” said Labor Minister Sacconi, adding that the government will stress the “current and historical” reasons for keeping Fiat based in Italy in Friday's meeting. Fiat can gain an additional 10 percent stake in Chrysler in two steps if the U.S. carmaker reaches milestones including some sales objectives outside of North America. Fiat has an option to increase the holding to 51 percent after Chrysler repays U.S. and Canadian government loans. Marchionne has said he aims to get to 51 percent of Chrysler before the end of this year.